Wargaming and World of Tanks are happy to be partnering with War Child, the only specialist charity supporting children affected by conflict. We’re taking part in War Child’s Armistice Campaign, where gamers can lay down their arms to raise money for children affected by war. 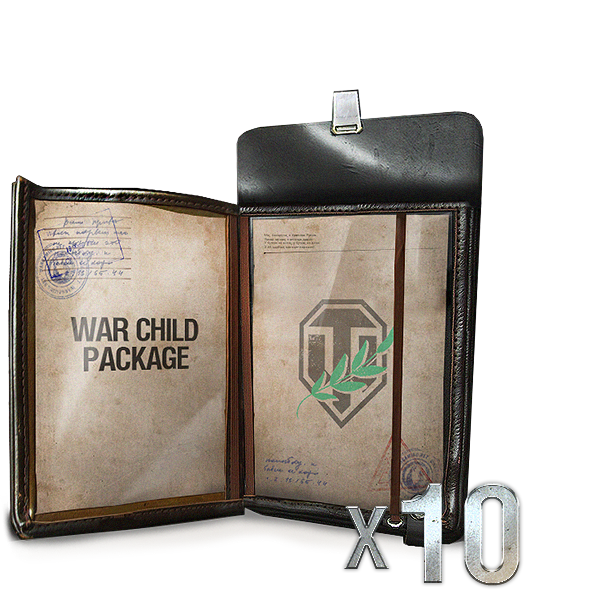 To commemorate Armistice, a special War Child emblem has been created, and will be available in World of Tanks via the Premium Shop. This is a fantastic opportunity to stand with your brothers-in-arms in aid of an excellent cause and bring real help to those most in need. This is not a call for arms, this is a call for Armistice! Important: All total net proceeds from the sale of this emblem will go directly to War Child, to help with their charitable efforts across the globe. Please note that VAT and service fees will not be included in the final donation. Wargaming will provide War Child with the net proceeds with an agglomerated donation after the sales expire. While we welcome our players donating more to this good cause through making multiple purchases, please note that each set of emblems is restricted to one per account. This means that you can receive the emblems for each package type only once. Important: once you assign an emblem on a vehicle, it will become permanently bound to it. This means that you will not be able to transfer it to a different machine, although you can remove it and reapply it to its dedicated vehicle at any time. To discover more about our charity drive project, take a look at the video below. Richard Cutland, our Head of Military Relations, and Rob Williams, Chief Executive Officer at War Child, will tell you more about the project. Plus, our friends from Extra Credits will explain the history behind Armistice, Remembrance, and Veterans Day. Don't forget to check out the emblems, too!